I am wondering if you have any updates on the place we are meeting and the time. to the reunion so we are wanting to make sure that the date is firm. My name is Rudy Munch, member of the class of 1964. Had to leave Chicago in April 1964 so I could not take part in graduation celebrations. I have been living in Spain and Germany since that time. 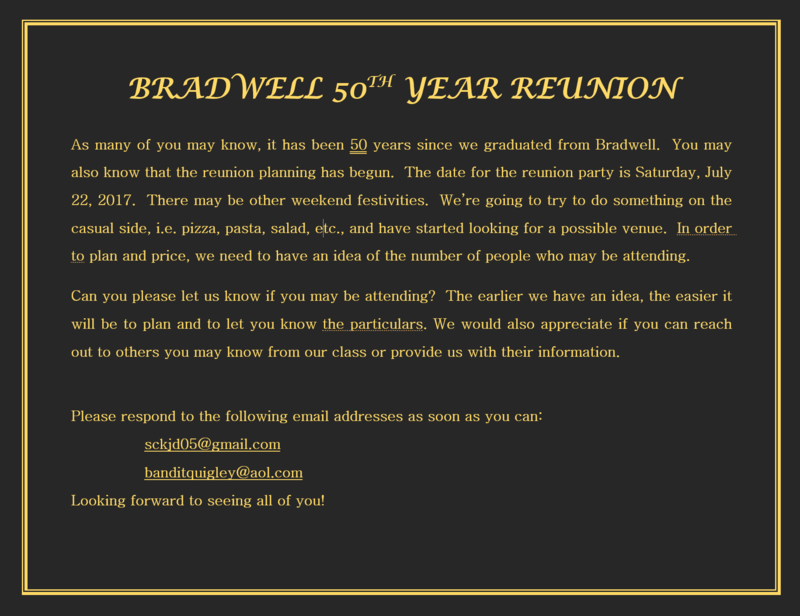 Do you have any information concerning my class and what about your reunion 2017? Or is this Webseite not being monitored any more? Yes, indeed! Still Monitoring. I wouldn’t have any info on your class, but some of the folks in my class (67) might have older siblings who might have info. Hopefully they’ll see this and respond. There’s also a Facebook group you can try. It will be on July 22nd at Giordanos in Greektown. Exact time TBA. Is this Website still being monitored?